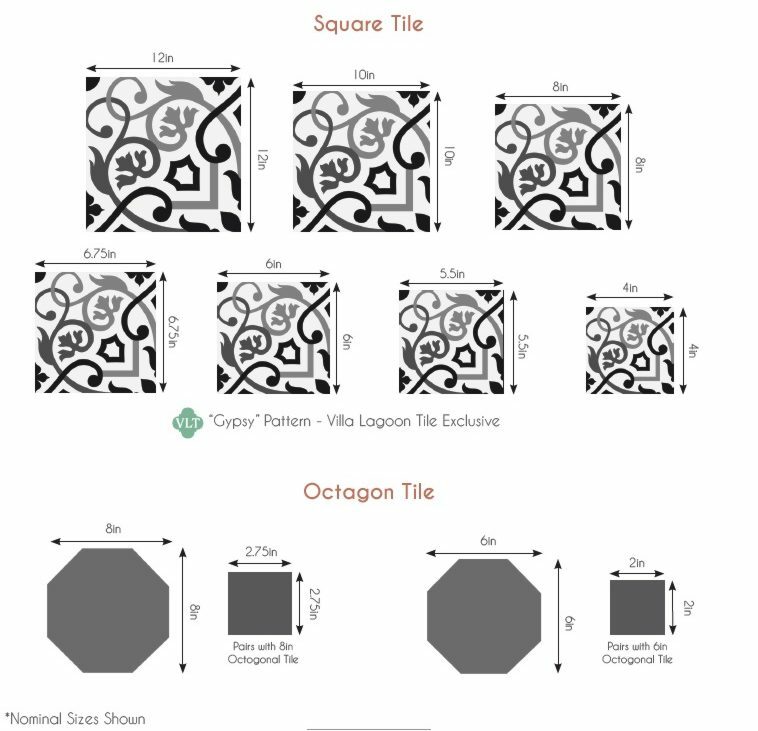 Cuban Tile: The straight border tile: The graceful EMILIO Border in the "Fresco" colors is the finishing touch for a floor or wall of the RUMBA "Fresco" Cuban tile pattern. "Fresco"'s delightfully light and breezy colors and pattern reflect spring and early summer...sunshine and smiles. You will want to order some extra pieces, just as you would the straight border tiles and the field tiles. Generally it is recommended to use a row or two (depending on the size of the room) of solid color tiles along the wall, between the walls and the patterned border. In this way you do not cut into your border for any wall or doorway irregularities and you can center your pattern tile on your space.